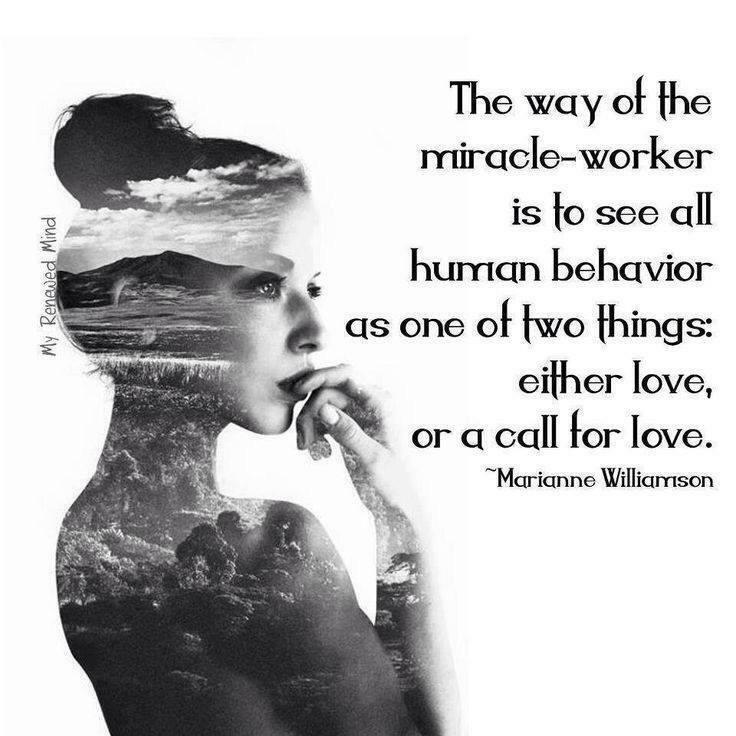 In this quote, Marianne Williamson talks about people she calls “miracle workers.” What I think she means is people of God, people who aspire to become a beneficial presence on this planet. It isn’t a task we are assigned, it is a task we choose. Finding the awareness to make a decision on how to interpret someone’s actions takes a lot of self-control. In every interaction we have with others, we have the choice of either re-acting out of old habits and programmed responses. Or, we can take a moment and consider how we can apply love to the situation. Sometimes, that means holding our tongue. Sometimes that means offering forgiveness without criteria. Sometimes that means telling someone something they might not want to hear, with love. In all cases, the goal is to take personally only one thing – your responsibility to assert love, not judgment. It’s not a task for everyone, but it might be for you . . .